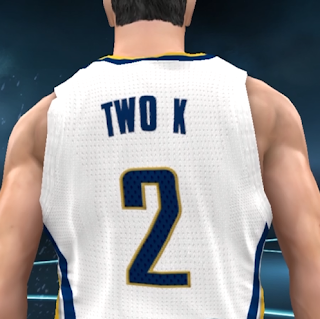 Home Articles Settings Why Use 12 Minute Quarters in NBA2K? Why Use 12 Minute Quarters in NBA2K? I think most people who first start playing the game, play on the default settings. When I first started, the default was pro difficulty, default sliders on 5 minute quarters. I played a whole season on those settings including about 500 quickmatches on 5 minute quarters. Once you are hooked on the game, you start to dig around into the settings and one of those you should look at is changing the quarter time to 12 minutes in length (on hall of fame difficulty using simulation sliders). I know a lot of people that first meet me are like, you want to play and I'll say sure but I play only play on 12 minute quarters. Sometimes, they are like nah, I don't want to play that long. I can understand that. Time is pretty scarce these days. But there are several reasons that I play on twelve minute quarters and think you should too. If you think about it, if you are playing a ton of quick match, it's only two quickmatches. It's more realistic: If you consider yourself to be a sim player, I can't see how you can't play on 12 minute quarters. That's what they do in real life. Contrary to what many believe, you can get games in the 80's on 12 minute quarters. 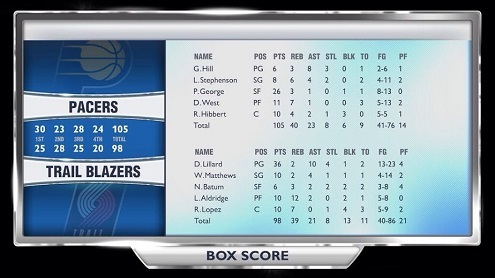 I have even held the HOF CPU to under 90 points in a 12 minute quarter game. Some games I don't even take 70 shots. Fatigue: In a 12 minute quarter game, guys actually get tired. That means it gets harder to knock down shots when you are tired. You don't rebound as well when you are tired. While fatigue in the game could be improved, it can definitely still be a factor. You learn to use your bench: I remember one of the first years I started playing people, I never used my bench. That's because fatigue was broken. But after awhile, I just started using the bench. The way it is now, if you play the 12 minute quarter game, you have to use your bench so you have to know more about your team. You know their shot releases and how you have to use them to be productive off the bench. Guys that know their team from top to bottom are also more fun to play against. Foul trouble: You can't sit there and reach all of the time just because you have pick pocket. You can't hit square all day without racking up some fouls. With fouls comes foul trouble which means you need to deal with it when it happens and I've seen guys foul out with very little time left in the game and that turns out to be the difference in the game. Free throws: With fouls come trips to the line. That means you got to know how to shoot them with your whole squad. It's not unusual for guys to go to the line 20-30 times in 12 minute quarters. All those freebies count. A guy in league play today lost a game because he was 11-21 from the line. Getting into the bonus early in a quarter is killer later in the quarter because you can't be as aggressive later. Momentum: If you play a short game in quick match, you've undoubtedly been steamrolled from the time to time. You get buried early and just can't recover from the momentum swing that guy got. In a real game, no lead is safe versus a good player because good players know you have to play a full 48 minutes. I've been in games where I've been up by over 25 and still lost and also come back from that as well. In my league, it was tough at first to convince players that a game was never over until it ended and just because you were up 20 in the third, didn't mean it was over. Could it be sure. But you never know. Having the full 48 minutes to work with smooths out the effects of momentum. More time to identify your opponents tendencies: I know a lot of guys that won't play you multiple times. The reason is because they know you'll eventually figure out their tendencies and figure out how to stop things and adapt to their playstyle. Or maybe it takes a while to crack their defensive scheme. In a 5 or 6 minute quarter game, there isn't really time to do that. Honestly though, if more people played each other in longer games, multiple times, they would actually get better because of it. Once tendencies are taken away, it forces you to expand your game. More time to practice against what you can't stop: There's no better practice than practice against another user who knows what they are doing. You'll find all kinds of players. Some guys are chuckers, some guys work a ton in the paint and still others are playcallers that can slice you apart offensively. This forces you to practice against someone's strengths. If it's your weakness, then that's ideal because you'll start thinking about what you can do to be effective. Overall strategy: Finally, the 12 minute quarter game just involves more strategy. You might find that at the end of the game, your superstar is now matched up with a lockdown defender in crunch time. You might find that a small lineup is more effective. During the game, you can experiment with a certain play and remember what works when you need it later. Games are more chess matches. Those are some of the reasons I love playing 12 minute quarters. If you aren't playing 12 minute quarters, I encourage you to find guys that do and play them. After you get used to the longer time, eventually, you'll probably find that you'll be like me and others I play who say the game just didn't seem the same unless you play 12 minute quarters. It's actually a lot more fun in my opinion. 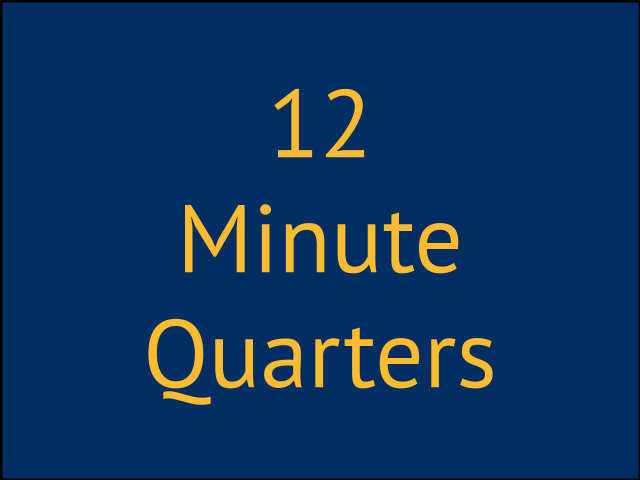 Are you a 12 minute quarter player? Any other reasons to play 12 minute quarters that I've left out? Let me know in the comments. i love playing 12 min quarters but how can i not have 140 scoring every game ?